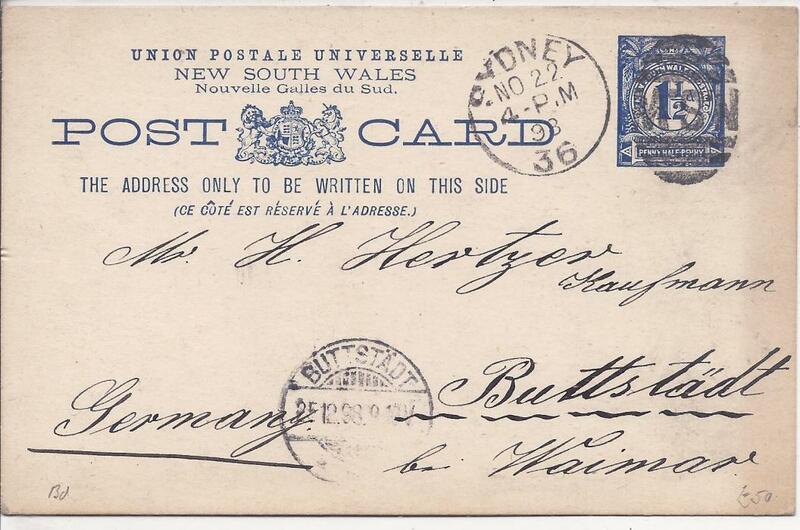 (New South Wales � Picture Stationery) 1898 1�d. 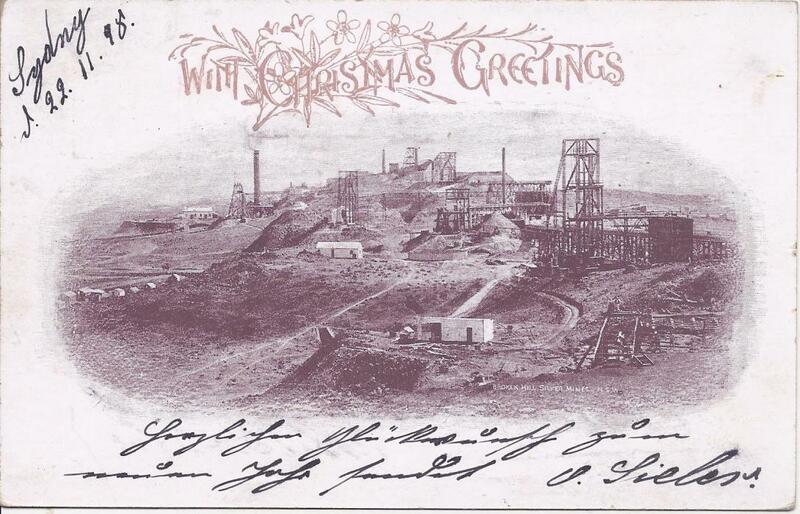 view card of Broken Hill Silver Mine used from Sydney to Germany; fine condition. 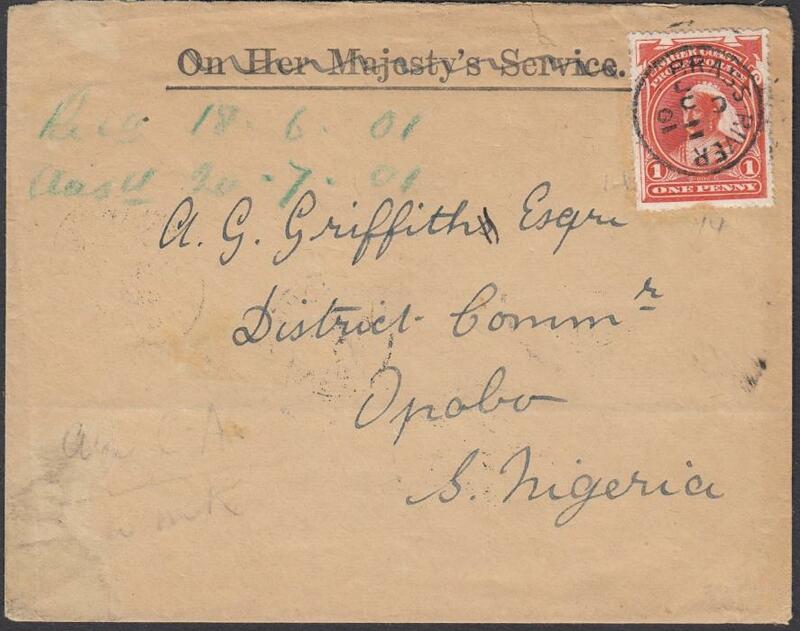 1901 (JU 11) internal altered OHMS envelope to Opobo, S. Nigeria bearing single franking 1d cancelled 'BRASS RIVER' cds, reverse with BONNY RIVER transit of 'JU 14' and arrival 'JU 16'.